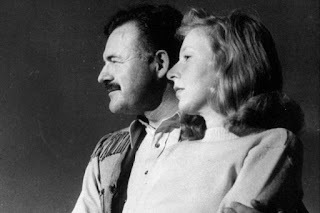 I first read about Gellhorn in McLain's previous book about a Hemingway wife, The Paris Wife, which looked at Hemingway's first wife, Hadley Richardson. I wonder if McLain felt herself fall down a rabbit hole once she started researching for the first book or if she had all long intended to write about her as well. Hadley's story was as much about Hemingway as it was about Hadley. Martha's story is her own; Hemingway just happens to make her both ridiculous happy and insanely unhappy for the majority of it. 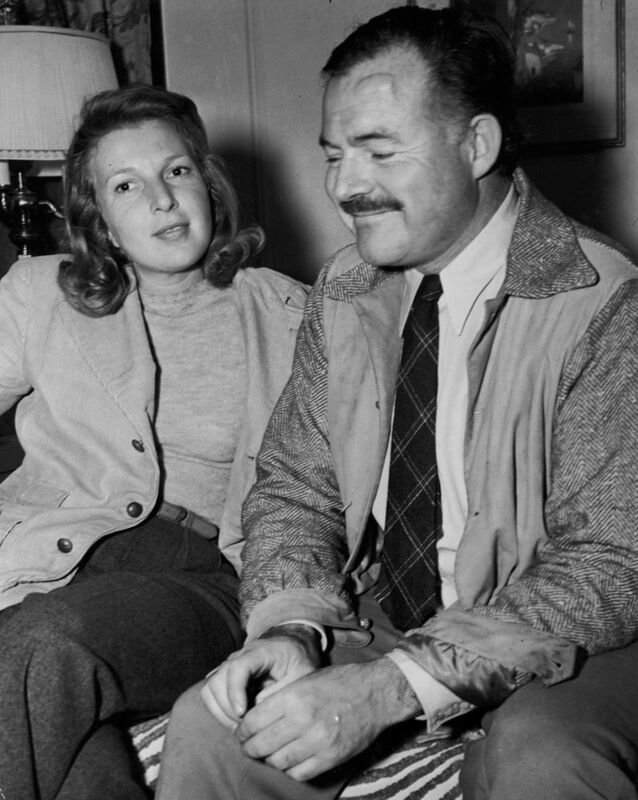 Gellhorn met Hemingway when she was just 28. He was 37, already divorced and married again with three sons. It didn't matter. 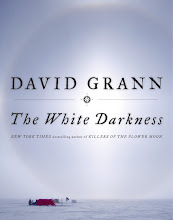 Their friendship became much more under the heightened emotional condition of reporting on the Spanish Civil War. 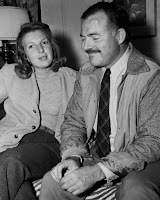 He was passionate, adoring, and a fierce advocate of Gellhorn's writing. They married after almost four years of mostly living together because, according to McLain, Hemingway wanted it. Gellhorn balked but she loved Hemingway too much to tell him no, even as she could see that he was starting to want something from her that she couldn't give him. 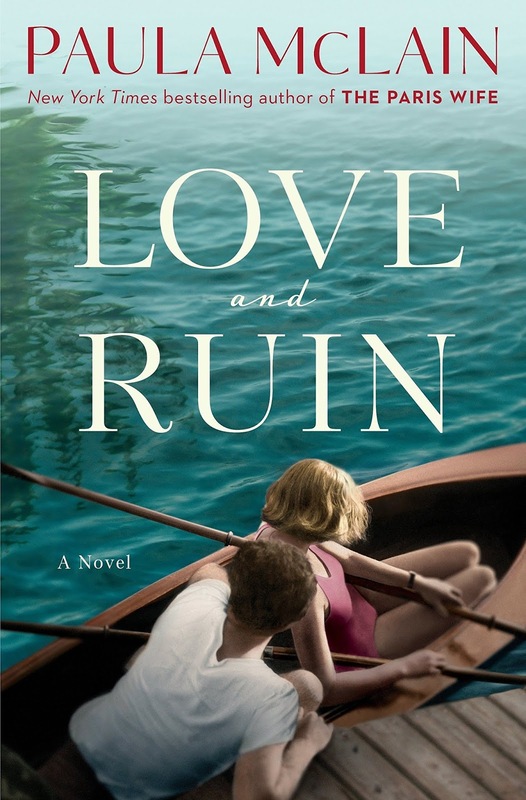 As in The Paris Wife, McLain tries to explain how Ernest Hemingway became the man he was and she makes him out to be a very devoted father. But it's not enough to make me change my opinion of the man. She also paints him as a man who had to be the center of attention where ever he was, whomever he was with. He was a slob, had a terrible temper, and was unforgiving. 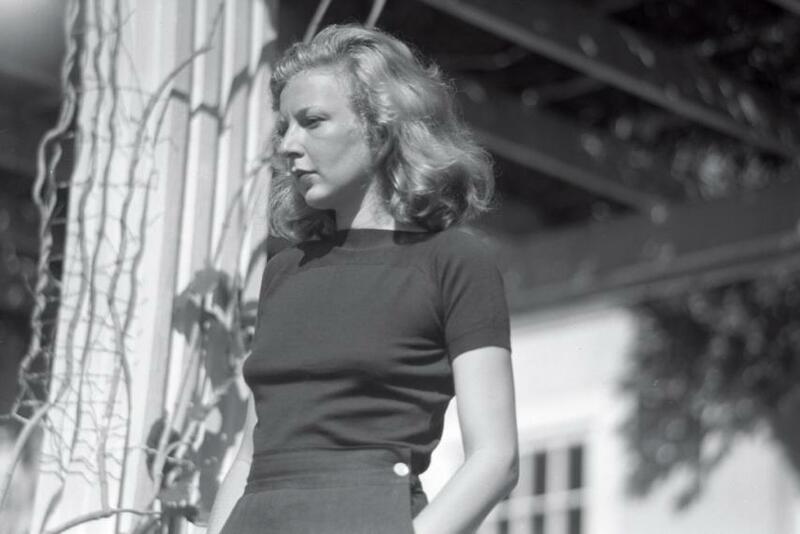 In McLain's hands, Gellhorn is a young woman who is determined to be a writing and even more determined to bring the plight of people in war-torn lands to the public's attention. She wasn't a saint; Hemingway was not the first married man with whom she had an affair. But one gets the impression that she could have been just the woman for Hemingway if he had been willing to give her the space she needed, just as he expected his space. 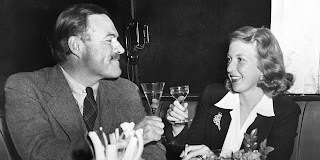 The book is mostly written from Gellhorn's perspective, but there are occasionally passages of Hemingway's internal thoughts. Maybe McLain thought that was the best way to give readers information Gellhorn would not have known but it was a little jarring. Sometimes I grew tired of the back and forth of Gellhorn's thoughts about the relationship. But the war reporting scenes are extremely well written, showing how a reporter can both be terrified but also unable to leave. McLain makes me want to learn more about this woman who spent 60 years reporting from war zones all over the world just as she make me want to learn more about Beryl Markham after reading her Circling The Sun. Gellhorn was so much more than just the third wife of Ernest Hemingway.